Are you thinking of becoming a driving instructor? Are you fed up of your current job? Want more money? Have you been made redundant? Want to work flexible hours? We've all come across TV, radio and newspaper adverts urging people to "Become A Driving Instructor." The TV adverts always feature smiling instructors, nice shiny cars and promises of high earnings, flexible hours and the freedom to fit the job in and around your life. "Train for a recession proof career"
"Change your career and change your life"
According to the adverts, it's all so easy to achieve! There's no previous experience required, all you need is a driving licence and their driving instructor training courses (which you're told you can take in your spare time while fitting your training around your current job) and a carefree, secure, well-paid, flexible, busy career and a better life will be yours! But is it really as easy as that? There's an awful lot the TV and newspaper adverts don't tell you and won't tell you as it's not in their interests to do so. Read on to find out what you really need to know before making the decision to train as a driving instructor. If you're thinking of taking a driving instructor training course, you owe it to yourself to know a great deal more about what you're letting yourself in for than the adverts and the sales pitches will tell you! Find out the truth about training and qualifying as an ADI, how much driving instructors can earn and whether driving instruction really is the right job for you. The reason I've written all this is simple. I run a driving school myself, and I've encountered a disturbing number of people, in real life and on the internet, who've been misled or had bad experiences with certain driving instructor training companies. I want to try to let people have as much information as possible about what's really involved, so that they don't end up having similar experiences which can prove both distressing and costly. My aim here is a simple and honest one: to provide the facts about becoming a driving instructor and to list as many useful information resources as I can so that those contemplating ADI training can make an informed decision about what they are doing. You can't just "become a driving instructor" by sticking some L plates on your car, and you're all set to make your fortune! It is illegal for anyone except a properly qualified and officially licensed driving instructor to charge money to teach anyone to drive, or even to receive gifts, gratuities or services in lieu of actual money changing hands. There's a process to go through if you want to work as a driving instructor. The Driver and Vehicle Standards Agency (DVSA) are part of the Department for Transport and they regulate the driver training industry. Part of their responsibilities include maintaining the Register of Approved Driving Instructors. They make sure that anyone wanting to become a driving instructor is a "fit and proper person" and they administer the application, qualification and licence renewal process. You cannot start training to be a driving instructor until the DVSA have approved your application and you have undergone a criminal record check by the Disclosure and Barring Service (DBS). ADI - A fully qualified driving instructor is called an Approved Driving Instructor - this is often shortened to the abbreviation "ADI." DVSA - The Driver and Vehicle Standards Agency. An agency of the Department for Transport who regulate the driver training industry and who are in charge of registration, testing and licensing of driving instructors. Formerly known as the DSA (Driving Standards Agency) until April 2014 when the DSA and VOSA (Vehicle and Operator Services Agency) merged to become the DVSA - you may still find references online and in print to the DSA. 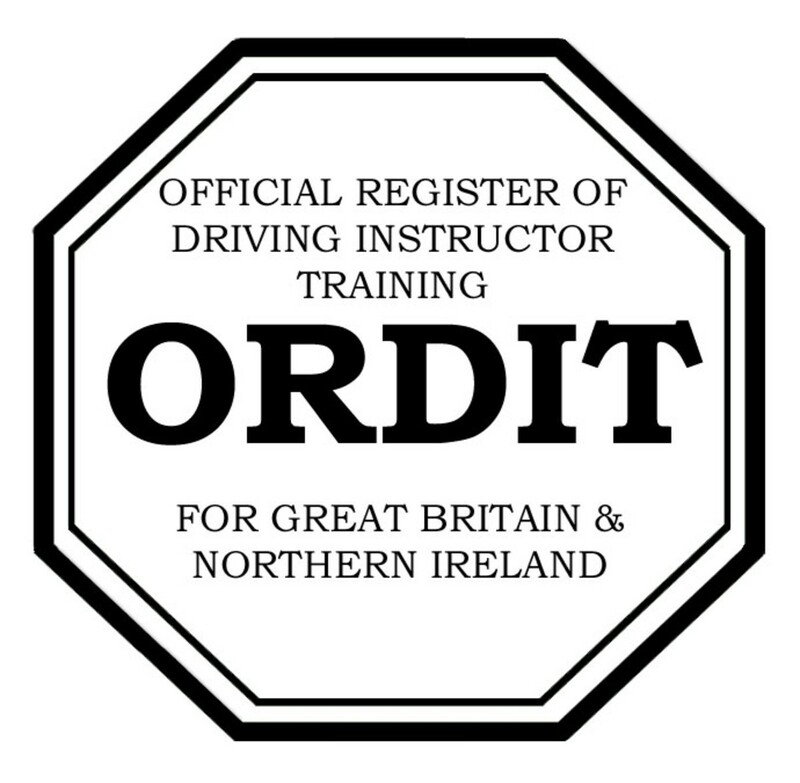 ORDIT - The Official Register of Driving Instructor Trainers. "The qualifying process is not easy, and the pass rates are not high..."
This means that under half of those who start training pass Part 1 and go on to Part 2. Of those that take Part 2, just over half pass and progress to Part 3. 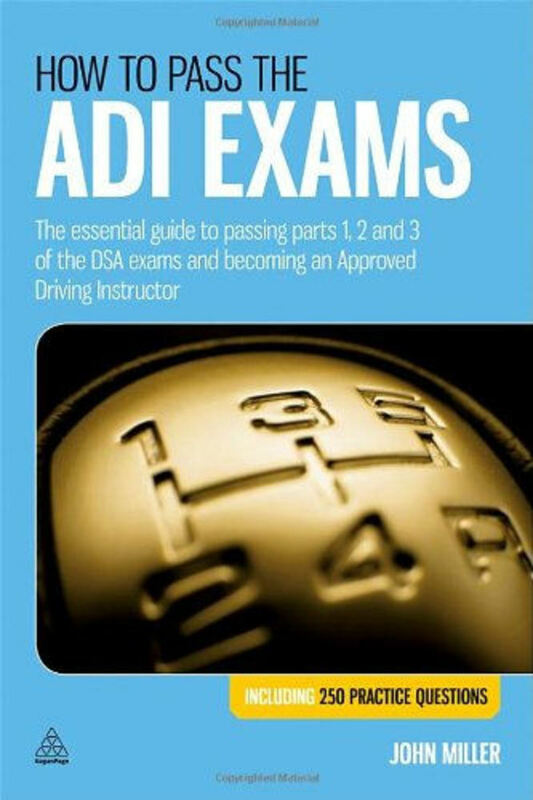 Of those that take part 3, just over one-third pass and become qualified ADI's. There are limits on how many times you can fail exams too - you get as many goes as you need at Part 1, but a maximum of only three attempts at both Part 2 and Part 3...if you fail Part 2 three times, you have to start all over again...if you pass Part 2 and then fail Part 3 three times, you have to start all over again...from the very beginning. If you do not pass Parts 2 and 3 of the qualifying exams within two years from the date you pass Part 1, you will have to start all over again. Practical training and training materials for Part 3 (costs vary depending on your choice of training provider. A reputable, experienced ADI Part 3 trainer may charge in excess of £30 per hour. You are likely to need at least 60 hours training for Part 3. When you pass Part 3, you then have to apply to join the register as an ADI and receive your ADI licence. 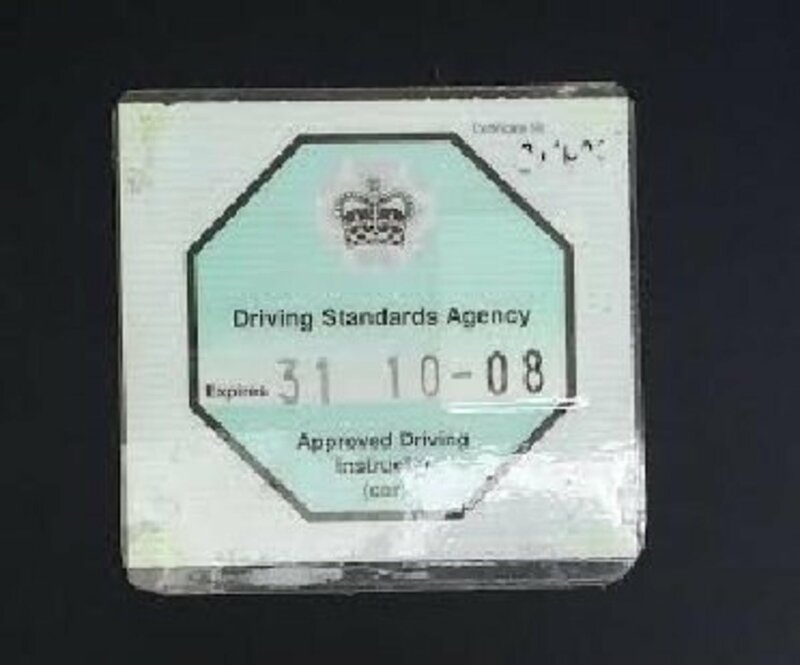 This costs £300.00, and you will have to pay a further £300.00 every four years to renew your ADI registration. All fees quoted above correct as of 2018. It can cost thousands of pounds to train to be an ADI depending on how you go about it and how much training you need. Forget any ideas of getting from zero to ADI in a few weeks - it will take you between 6 months to 2 years...at least. With very few exceptions, driving instructors are self-employed, so they don't get a regular steady weekly wage or a monthly salary. The "guaranteed jobs or placements" mentioned in driving instructor training company adverts refer to taking out a self-employed franchise with a driving school, not a salaried job. A driving school franchise means that the instructor has to pay the driving school a fee every week or every month and in return, the driving school will find customers (usually referred to in the industry as "pupils") for them. There is more often than not, a clause in the contract that pupil supply cannot be guaranteed. 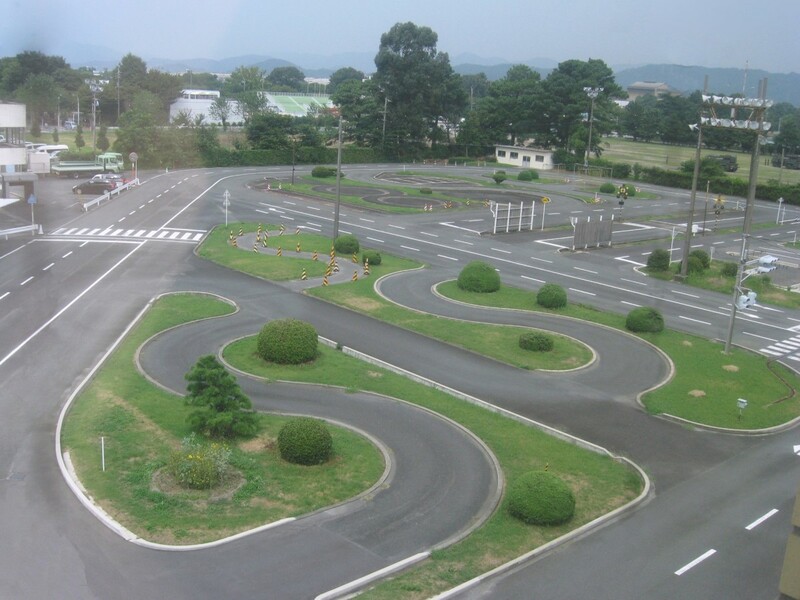 The franchisor (the driving school) allow the instructor to work under their company name and sometimes will provide the instructor with a vehicle in which to teach. The franchisee (the driving instructor) is responsible for their own accounts, tax, national insurance, business expenses, fuel costs, etc. It is important to be aware that being self-employed means no paid holidays, sick pay, pensions or any other "perks" that people who are employed might get. If you are used to working as an employee and knowing how much money you're going to get every week or every month, you'll need to be able to adapt to the uncertainty of self-employment, where regular work cannot be guaranteed and therefore neither can a regular, steady income. Teaching someone to drive requires a great deal of concentration and mental effort. It is not just about sitting in a car all day, chatting to your pupils while driving around enjoying the view...you must be alert and "on the ball" at all times. This can be exhausting. Some customers can be challenging, and the job can be very stressful at times. You will find yourself with "dead-time," i.e., the time taken to travel from one pupil to the next. Unless you teach in a big city or town where pupils are located geographically close together, you may find yourself travelling quite long distances throughout the day, crisscrossing the area you operate in. This can make for a long day - and you will not get paid anything for the time you spend travelling. You might want to work when it suits you, but in reality, you'll have to work when your customers are available. Most of them will have restrictions on their time due to other commitments, and if they are only available at 7:00 am or 9:00 pm, that's when they will want you to be working. You must be prepared to spend a considerable amount of time on work-related tasks when you are not physically out on the road teaching, e.g. doing your accounts, managing your appointments (your driving instructor "diary"), phone calls, text messages or emails to pupils, keeping your car clean and well maintained etc - all this has to be done in your "free time" when you are not out on the road teaching. Claims made by driving instructor training companies that there is a shortage of driving instructors are FALSE! There are an awful LOT of driving instructors out there already and more in training - don't be misled into thinking that there are lots of people queueing up to take driving lessons and not enough instructors to cope with demand. The opposite is true. "a demographic trend of declining birth rates during the 1990s, means that there are now fewer young people in the peak age-group for driving tests (17-20). Population data suggests that this trend is likely to continue until late in the current decade, before reversing." In June 2014 there were 42,934 ADIs. In 2003 there were 31,807 ADIs. In other words, the number of driving instructors has risen at the same time as demand for driving lessons has fallen. Driving instructor training company adverts and sales pitches may lead you to believe all sorts of things which turn out to be very different from the actual situation. They're all trying to sell a dream...a dream of a well-paying career, a nice car, flexible working hours and job security. It's no coincidence that as the worldwide financial crisis started to hit home, and people started being made redundant, often from jobs they had held for many years, that suddenly that there were a series of RED Driving School driving instructor training adverts on the TV promising that becoming a driving instructor would ensure you a "job for life". The "guaranteed job" or "guaranteed placement" that training companies mention in their adverts brings them in even more of your money...what they actually offer is not a job in the sense that most people think. There's no "guaranteed" work, or a salary or contract of employment - what they're actually providing is a franchise with them. That's why phrases such as "new driving instructors urgently needed" are used in adverts for driving instructor training...you might think it's because there is loads of work...in reality instructors are "urgently needed" by these companies for the income they bring in to them by means of the franchise fees they pay! Please understand that these companies are not offering you "impartial careers advice," or even to train you in a new skill prior to giving you a "job" with them. They are trying to sell you their product, a driving instructor training course. They are offering this training because it is a way of making money, for them. The people who you talk to at induction meetings are sales-people, and they will use sales pitches and sales tactics to sell you their product (the training course). They will more than likely flatter you...tell you that "you're ideally suited" or "exactly the sort of person" they are looking for. They will big up the positives and neglect to tell you about the negatives. You may be taken out on a "test drive" - I've only heard of two people not passing this bit with flying colours, and even then they were told that whatever they had done wrong could be "ironed out with a little bit of work" and the rest of the sales pitch was carried on regardless! You may well also be offered some kind of inducement to sign up for the course there and then...there'll be a discount offered which just so happens to be "only available today" or the sales rep will go away and negotiate a "deal" for you with his/her manager if you sign up on the spot...sometimes "by chance" an ADI who has been trained by the company will "just happen to drop in" and in the course of conversation will be only too pleased to tell you how easy it all is and how much money they are making! "If something seems to be too good to be true, it probably is." The economic downturn affected everyone, yet some training companies made silly claims such as "driving instructors are recession proof". The usual justification for these claims was that "people will always want to learn to drive" - this is probably true, but "wanting" and "being able to afford to", are two different things! In the worst years of the recession, even long established driving instructors with excellent reputations and years of experience struggled to make a living, or simply gave up due to the fact that the demand for driving lessons fell, while the supply of driving instructors kept on increasing (thanks to the TV and newspaper recruitment adverts by driving instructor training companies). The price of driving lessons then decreased as instructors competed for what customers there were. Demand for driving lessons varies throughout the country as does the price charged. Generally speaking, in areas of high employment or affluence, demand is greater. The amount any driving instructor can earn depends on how much work they can get and how many hours they are prepared to work. The fees that pupils pay are not disposable income. If you charge say £22.00 per hour for driving lessons, this does not mean £22.00 per hour in your pocket for you to spend however you want! As a self-employed person, you will be responsible for running your own business and paying your own tax, national insurance and business expenses. You must know how to run your own business and aware of the responsibilities involved (or prepared to find out - this is an area which is often dealt with inadequately or even not at all, by training companies). Unless you take out a franchise with an established driving school, you will need some means of sourcing customers and/or advertising yourself. This will cost money. It takes a lot of time and effort to get a good enough reputation so that satisfied customers recommend you to others. In many areas of the country, there is simply not enough work available for the number of driving instructors working in those areas. No paid holidays, no sick pay, no company pension, no Christmas bonus, no healthcare schemes, no staff discounts, no coffee breaks, no canteen, no gym, no incentive schemes, no 9 to 5 Monday to Friday routine, no fancy job titles and no "prestige"...hell, there's not even a toilet when you need one! Even though you run your own business, you are still under the watchful eye of the DVSA, who, while they do not employ you as such or even pay you, do play a significant part in your livelihood in as much as they are the ones who issue the licence which permits you to teach in return for money! Passing all three parts of the ADI qualification process does not mean "a job for life" either, as you will need to pass a regular Standards Check in which a senior DVSA examiner will assess whether or not you still meet the standards to keep your ADI licence. You are also required to pay a fee (currently £300) to the DVSA to renew your ADI licence every four years. As well as the DVSA Standards Check, you must always act in a way that will not fall foul of the DVSA considering you to be "a fit and proper person" and failure to do so, can result in revocation of your licence. All that gloomy stuff aside though, the joy on the face of a pupil who has just passed their test does kind of make up for it all...a bit! Here is some more information you need to know if you want to become a driving instructor. In order to trade and accept money for giving driving tuition, you must be on the Register...more about how to actually get listed there later, for now, you just need to know about its existence! The Register of Approved Driving Instructors (ADI) was set up in the interests of road safety in order to maintain and improve the standard of car driving instruction available to the general public. It also ensures that the public can expect an acceptable standard of tuition from those registered as driving instructors. It is administered by the Driver and Vehicle Standards Agency (DVSA), an Executive Agency of the Department of Transport, under the provisions of the Road Traffic Act 1988. The legal requirements are contained in The Road Traffic Act 1988 and The Motor Cars (Driving Instruction) Regulations 2005.
be a "fit and proper" person to have your name entered in the Register. All convictions, motoring and non-motoring, will be taken into account when the DVSA assess suitability to be entered on the Register. You will be required to have an enhanced level criminal record check. The information from this check will be used by the DVSA to assess the suitability of persons applying for inclusion on the Register of Approved Driving Instructors. What personal qualities do you need to be a driving instructor? "I want to be an instructor because I love driving and I like people." That's a good start, but there's a lot more to consider! 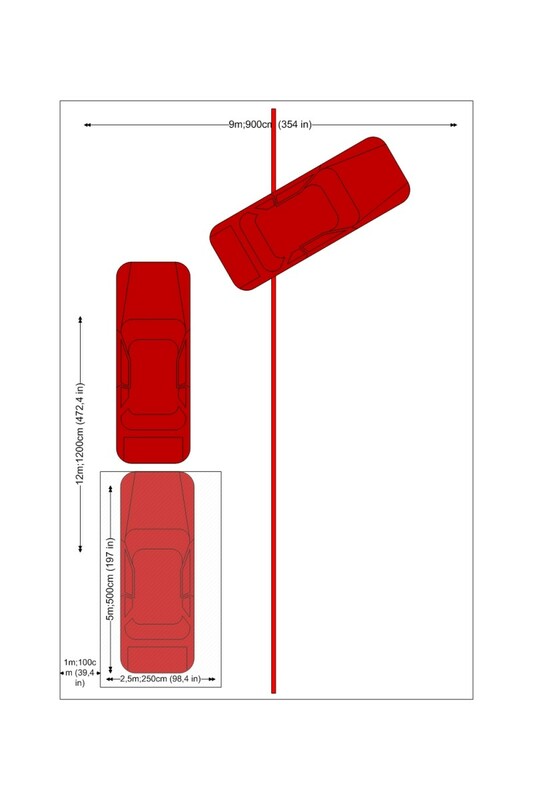 "Loving driving" is great, but as an ADI, YOU won't be doing that much driving! 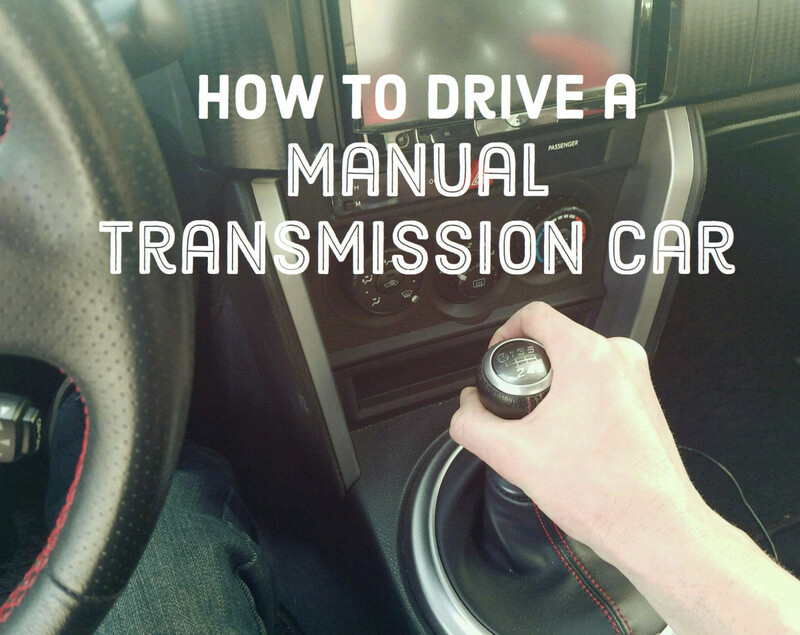 You'll be in the passenger seat concentrating hard on someone else doing it. Will you "love" doing the same sort of thing over and over again, day in and day out? Turns in the road, reversing round corners, spending most of a lesson trying to help a pupil get the hang of turning right, an hour spent going round and round all the roundabouts in the town centre from all the different approaches...there's not much "pedal to the metal" or freedom of the open road" in it for driving instructors! "Liking people" is also great, but you won't be in a nice relaxed social situation, where you can do much chatting on a "getting to know you" basis. You'll be sitting next to a novice driver, who is in charge of a motorised metal killing machine travelling at speed...It's often pretty hard to like people who seem to want to kill you! Not every pupil you have will be "likeable" by any means...nor will they necessarily do what you ask them...nor will they always appreciate what you do...unlike the TV adverts, "real people" do not often rush out to the car, smiling in eager anticipation of their forthcoming wonderful driving lesson with their wonderful driving instructor which will ultimately lead to even bigger smiles and lots of hugs of gratitude at the driving test centre when they pass. "Real people" don't always find learning to drive easy....real people get nervous and stressed and do things "wrong"....real people get emotional, lose their temper, don't always listen or do what they've been asked to do....real people scrape your tyres on the kerb or knock off other people's wing mirrors or go the wrong way round a roundabout...real people worry about the cost of their driving lessons...real people cancel driving lessons at short notice leaving you out of pocket....real people sometimes mess you around big time!...in other words, if you think the job is all smiles and charming, grateful pupils, then I'm afraid you're in for a bit of a shock! You may be able to drive pretty well, but do you possess the ability to TEACH others effectively? Do you have the interpersonal, verbal, motor and cognitive skills required? Can you, with complete confidence, KNOW that that you would be able to remain patient, calm and professional, either in a dangerous situation while out on the road, or with a person who could not or would not do what you asked them? Knowledge of self employment - you need to know about being a "sole trader", self-employed franchises, or if you work as an independent driving instructor running your own driving school, you'll need to get your head around advertising and business administration. There's a lot of skills and personal qualities required by driving instructors that the TV adverts and the sales patter don't bother to go into and which, for many people, seems to come as a surprise - often a nasty one. Be prepared to study (a lot) and self-motivate - both when you train and even after you qualify. Good instructors keep up to date with training methods, legislation and gain additional qualifications. Don't make the mistake of thinking that all (or any) of these personal qualities and vital skills are going to be adequately assessed by companies that offer instructor training. Many of them are far more interested in you handing over your money, than whether you're really a suitable person for this career. Even the ones that offer "induction days" or "candidate screening" often do this merely as a sales ploy to get you there in person to listen to their sales pitch and usually the "induction/screening tests" are little more than a formality. Nearly everyone manages to pass these so called "assessments" and for those that fall short, there are usually reassurances that whatever is lacking isn't really important and can be "sorted out" somehow. This is one reason why the ADI Exam Pass Rates are so low - people drop out of training when they realise that there's more involved than they were led to believe, or they fail to meet the standards required, usually after a LOT of time, expense and heartache. My advice is to be brutally honest with yourself. If you're easily flustered, impatient, don't express yourself very well, lack confidence, find it hard to "think on your feet", find the thought of handling money, paperwork or running your own business daunting, don't like studying or taking exams, have restrictions on your free time, want a "quick fix career", or think that being a driving instructor is "easy", then you're going to find things difficult. There are 3 separate exams for those wanting to be Approved Driving Instructors...and they aren't easy by any means! 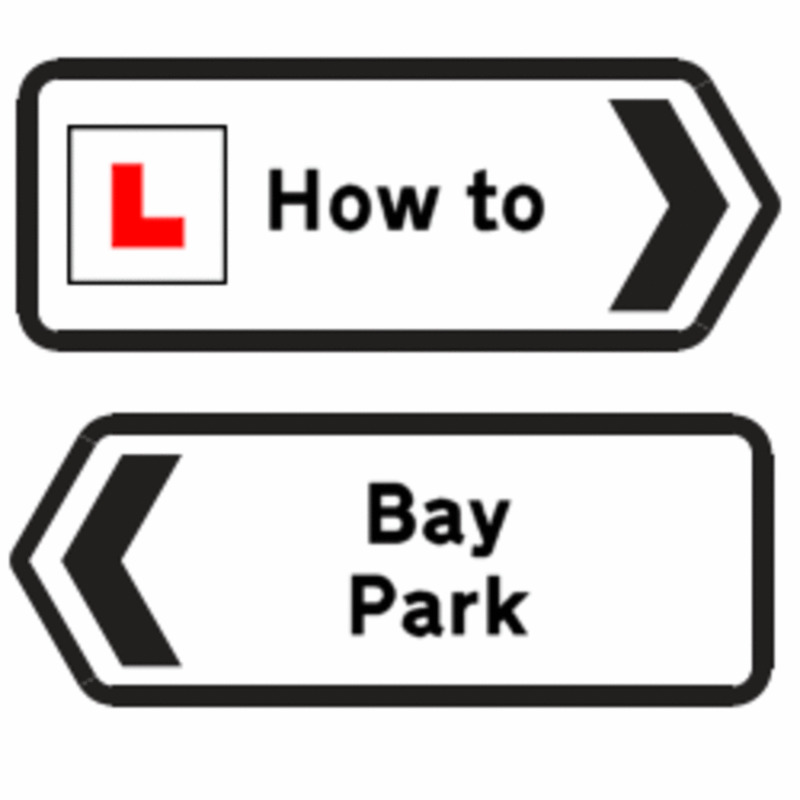 You must take and pass all three parts of the driving instructor qualifiying exams in order as above and you must complete the second and third part within two years of passing the theory test. If you do not pass all three parts within this time you must start again from the beginning and pass each part again. You can take the theory test as many times as you want but you are only allowed a maximum of three attempts at each of the practical tests within each two year qualification period. Additionally, you cannot start the qualifying process again until two years has passed since you last passed your theory test. 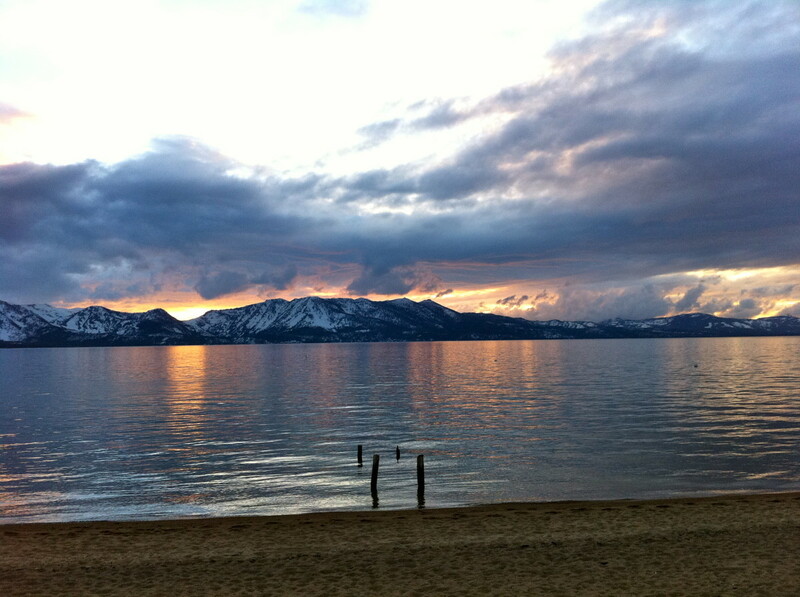 "You should not embark upon this career lightly. The qualifying process is tough, the pass rate is low and it can be expensive and time consuming. You should expect the qualifying process to take many months to complete". OK...if you've got through the last few sections without being put off, the next step is to apply for acceptance onto the all-important Register - you can't proceed any further with training or exams unless you're accepted as suitable to join. OK then, assuming you're happy with all the requirements, what do you do next? You can't simply start studying and book an appointment to take the Part One Theory & Hazard Perception exam as you won't be able to book a Part One test unless you have been accepted by the DVSA as a suitable person to begin the ADI qualification process. The first thing you should do is to read and inwardly digest the Guide to the Approved Driving Instructor (ADI) register on the official GOV.UK website. Read it thoroughly and if you are still sure you want to give trying to become a driving instructor a go, follow the instructions and links on the Guide which will take you through the whole process of the initial stages of your application. Please be aware that even the initial stages take time. It will take several weeks for your criminal records check (called a "disclosure") to be completed and this has to be done before you can put in your application to the DVSA. Once you the DVSA have accepted you as suitable to start the process, the hard bit begins - studying for, practising and passing the three parts of the Approved Driving Instructor qualifying process. Is There Any Way Of Keeping The Cost Of Training Down? Some companies offer Pay-as-You-Go-Training, so you pay for the training you require as and when you need it. Other companies have set course fees and may require payment for the entire course in advance (which can often mean asking you for amounts in the region of between £2000 and £4000). Some of the latter companies also will not give any form of refund should you change your mind and decide to stop training for any reason. Always check whether a refund or partial refund is available and avoid companies that won't give them. Many training companies charge an awful lot of money for training materials - there's no need to pay the earth though as you can get excellent study materials for all three parts of the qualifying exams for very reasonable prices. Generally speaking, for the ADI Part 1 Theory Test, most people don't need any "formal" training and can study for this part themselves using the wide variety of books, DVDs and software available commercially. In my experience, having done this myself successfully, perfectly suitable training materials can be bought for under £10.00 - then all you have to do is put the time in to study and pay the fee for Part One! The total cost of getting through Part 1 training (including the test fee) need therefore be no more than £100.00 or so depending on which study materials you choose.....I have seen instructor training companies advertising Part 1 training for £500 or more! I can't begin to imagine how they justify that - OK so they may offer some kind of personal contact to discuss any queries or difficulties, but let's be brutally honest here, if you can't organise yourself to study for and pass Part 1 by yourself, you probably don't have the skills or commitment to get through the rest of your training and should seriously consider whether you're cut out for everything that being an ADI involves...harsh perhaps, but sadly true! 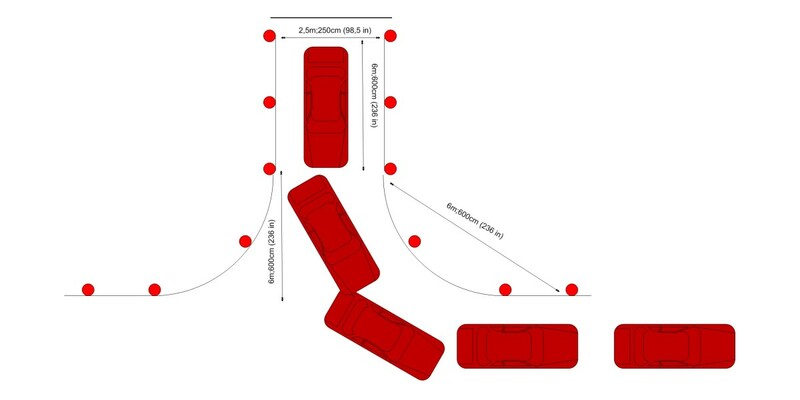 The ADI Part 2 (Test Of Driving Ability) requires an advanced level of driving. Most good ADI's can get you to the standard required for ADI Part 2, as that's the standard they have achieved themselves, so you may be able to get away with not using a specialist training organisation (who usually charge higher fees) for this part. You'll definitely need to get hold of a copy of The Official DSA Guide to Driving: the essential skills, as this book describes the methods and style of driving you will be required to demonstrate on your Part Two test. You can pick this up on Amazon for bargain prices (usually between £5 to £10 via the link in the paragraph where I talk about training materials for Partt 1), or from good bookshops - it's a worthwhile investment at an early stage and it will be essential throughout your career as a driving instructor! For ADI Part 3 (Test Of Instructional Ability) you really do need a competent ADI trainer though! Part 3 is by far, the hardest part of the qualification process to get through and skimping on good quality training for this part is likely to end in disappointment and additional expense in the long run. Experienced independent ADI trainers whose opinions I trust, tell me that most people grossly underestimate how much training is required for Part 3. I am told that most people should aim for around 60 hours of training and possibly more..
Driving Instructor Training Courses - What To Look Out For & How To Find A Good One! You won't get very far in researching how to go about getting Driving Instructor training without coming across the acronym. The objective of the Official Register of Driving Instructor Training, otherwise known as "ORDIT", is to establish and maintain acceptable standards of driving instructor training. The Register is run by the Driver and Vehicle Standards Agency (DVSA). ORDIT is a voluntary register and at the present time there is no legal requirement to be ORDIT registered. Many VERY good driving instructor trainers are NOT ORDIT registered - they don't need to be! BEWARE - some training companies (including some who are ORDIT registered!) may use "high pressure" selling techniques to persuade you to sign up for their instructor training course. PLEASE THINK VERY CAREFULLY BEFORE SIGNING ANY FORM OF CONTRACT OR AGREEMENT...it's best to go away without signing to give yourself time to think about what's been offered and check it out before agreeing to something you may regret! Should I Take Out A Trainee Licence After Passing Part Two? Trainee licence, pink badge, pinkie...is it worth it? After you pass Part Two you may be tempted (or "persuaded") to pay for a trainee licence (colloquially known in the driver training industry as a pink badge, pink licence, "going on a pink" or a pinkie!) so that you can start to give tuition to pupils and receive payment for doing so. Before you can apply for a licence you must receive 40 hours of instructional training with a qualified ADI and at least 25% of this must be in-car training. The trainee licence is only valid for 6 months (although in certain circumstances the DVSA can extend this period, but don't bank on it). This means that you must take and pass your Part Three test within that time. You must either be supervised by whichever ADI sponsors you for 20% of the lessons you give, or within the first 3 months of your trainee licence being issued, you must receive a further 20 hours of instructional training with a qualified ADI. Proof of whichever option you choose must be supplied to the DVSA. Remember that while you are allowed to charge money for giving driving tuition when you hold a trainee licence, you are not allowed to advertise yourself as a qualified driving instructor - you must make it clear that you are a trainee - and that fact can put potential pupils off. Without any paying pupils you won't recoup anything, so you need some way of sourcing pupils who will pay you to teach them. 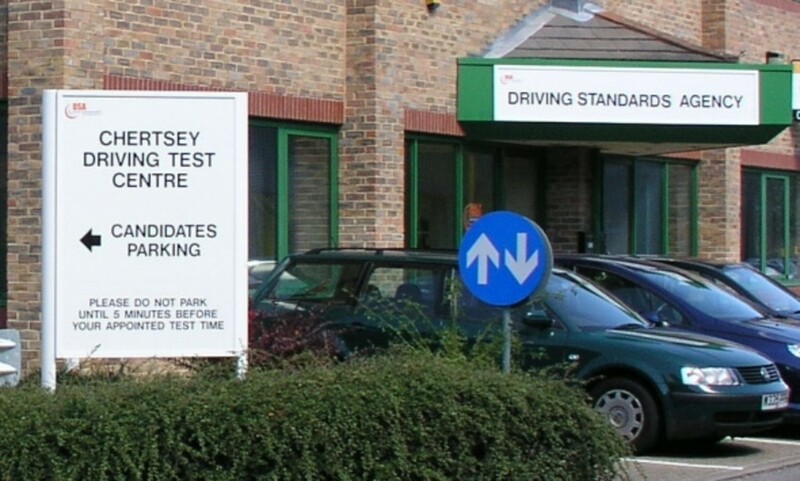 Many PDI's on trainee licences take out franchises with sponsoring driving schools. The school may or may not decide to tell the pupils they pass on, that the instructor they are referring them to is a trainee, which can lead to problems if the pupil is unhappy with this. Many PDI's find that they are suddenly "thrown into the deep end" and expected to teach pupils with little or no support. In turn, pupils will object if they feel that the instructor doesn't seem to know what they are doing. Always be clear about what support and supervision you will be getting if you take out a PDI licence. You might think that taking out a trainee licence makes a lot of sense as you'll get valuable experience which surely must help you when training for Part Three, but research has shown that there is very little difference in Part Three pass rates between those who have taken out a trainee licence and those who haven't. What Happens After I Pass Part Three? You're finally a fully qualified Approved Driving Instructor (ADI), that's what! But what should you do next? CONGRATULATIONS!!! YOU'RE FINALLY AN ADI (at last...)! After you pass the Part 3 test you can apply to join the Register. 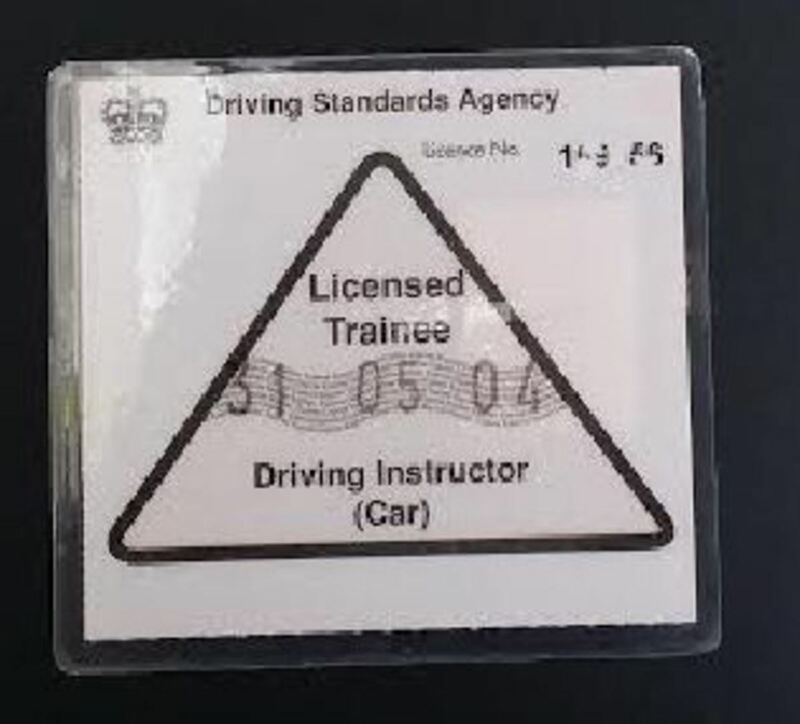 You cannot give paid for driving instruction until you are registered as an ADI and have received your "green badge", UNLESS you still have a valid trainee licence, e.g, if you pass Part 3 and have been teaching on a trainee licence while you were a PDI, as long as your pink licence hasn't expired, you can carry on teaching up to the expiry date of the PDI licence while you wait for your green badge to come through. If you didn't go down the "pinkie" route, or your trainee licence has expired, you must not give tuition in exchange for money (or monies worth, i.e gratuities or favours etc), until you receive your green ADI licence. You must apply for your ADI registration within your one year of passing your Part 3 test, or your qualification will become invalid and you would have to apply to start the qualifying process again. Driving Instructor Comments/Questions - Ask anything you like about becoming a driving instructor here! Hi Stephen - my advice to people looking for recommendations for driving instructor training companies used to be to join an industry messageboard such as "Driver Training Today". These days though messageboards aren't used that much and most "in house" discussions seem to take place on Facebook groups, so if you're on FB, I'd suggest you join a group or two and ask for recommendations in your area. As an example, "I'm a Driving Instructor (ADI or PDI) & I'm on Facebook" is a lively group! are there any reputable training schools out there. I'm very interested in starting instructor training. But all the comments about RED and other providers is off putting. Any advice is gratefully accepted. I've recently given up as an ADI after 10 years. I was actually really busy when I got offered the new job as well. The problem with this job is that you're either rushed off your feet, so you have the money but no time to enjoy it or you're so quiet that you have loads of free time, but don't want to risk spending any unnecessary amounts of money on enjoying life. You'll have your diary all planned for the week, then three people will cancel forcing you to either lose the work or sacrifice a day off to fit them back in. Don't believe the "be your own boss, choose your own hours" crap, because nobody can really afford to do that in this business. My new job genuinely pays Â£25k basic, with plenty of overtime and commission to be earned if I want. I'd have been a fool to turn it down. I wouldn't recommend the driver training industry to anyone. @anonymous: What on earth are you on about? Have you actually read this page or just jumped to a conclusion based on your own agenda? I run a SMALL driving school and DELIBERATELY keep it that was in order to provide excellent customer service with a personal touch. I NEVER, EVER take on instructors that a) I don't feel would fit in with the "ethos" of the company and b) that I couldn't sustain enough work for. I cannot understand why anyone runs a business in any other way. So no, I'm not running an "advert" for my school - we don't train instructors and never have and I doubt we ever will as I don't wish to bring anyone else into an industry that has a surplus of supply over demand - my aim is ONLY to INFORM those considering driving instruction as a career of the industry as it REALLY is and NOT the "there's loads of work and you'll earn a fortune" picture painted by the sort of driving instructor training companies who worry more about their profits than ethics...could that be you Jim DipityDoo-Da DI? I am a successful driving instructor and have been for over 20 yrs, yet reading this makes me want to give up. It seems this is an advert for your company, making you the school they should choose. @anonymous: Absolutely spot on - I'm very sorry to say. I originally wrote this page way back in 2007 and have kept it up to date since and have watched things go from bad to worse. The writing was on the wall back in 2007 but now it's far, far worse than any of us could have anticipated. It is exceptionally difficult to make a living as an ADI now and even driving instructors in relatively affluent areas of the country are suffering from the decrease in the number of people wanting to learn to drive due to the massive cost of insurance and fuel and the resulting cut-throat undercutting price wars amongst ADIs desperate to keep in business. There's way too many ADIs and far too few customers..
wow blown away by the detail and effort the went into this lens, great job! I have been an instructor for about 7 years now and have to say you pretty much hit the nail on the head. I love the job but see more and more people getting into it for the wrong reasons and with false expectations! I have recently quit the job after 9 years. I always offered the best quality of lessons I could manage in a quality and clean nearly new car and boasted a very high pass rate and for most learners a fairly low number of hours in the car. So why did I quit? Well there are nationally I would guess way more than twice the number of Instructors required to meet the demand so eranings have fallen accordingly. Most of us have seen the cars done up like xmas trees offering 5 hours for around Â£50. Yours costs will be more than half of that and to do 5 hours you will probably be out for 7-8 hours. That's why it has to be a franchised business you will earn less than the minimum wage for those hours. Â£30,000 PA ? Not a chance ask them to introduce you to someone who can prove they earn that before you sign up for the training. The doing of the job is ok and its always a good day when someone passes BUT financially it makes no sense at all. An ADI earning Â£20,000 PA is a very rare animal these days. In you first year you would do well to make Â£15K. confused now ..... i was seriously considering joining RED instructor training and after coming across this site i am now reconsidering . Are they really that bad ?? What are realistic earnings ?? @anonymous: Hope you are not with RED as i have discovered they are a con.Giving verbal agreements and not honouring them.Lost Â£1800 because of this. I'm sorry things haven't worked for you - this page has been online since 2007 and I've tried hard to raise awareness of what many of us in the driver training industry could see was a disaster waiting to happen. If you let your registration run out, you can no longer legally give paid driving instruction. However, you have one year after your registration runs out to apply for re-registration. This means you don't have to retake and pass the qualifying tests. ive been a driving instructor for 3 and a half years now and although i love teaching i am thinking of giving up once my badge runs out in november. im not earning anywhere near enough to live comfortably and i am hoping to start a family soon too. so i was just wondering if i wasn't to renew my badge will i be able to come back to it in a few years time or would i have to redo all the training again? i totally agree with everything which has been written on this page and only wish i had read this before i started my training as i would never have bothered. Thanks for these articles and videos. I am disgusted and put off. Thank you for saving my money. 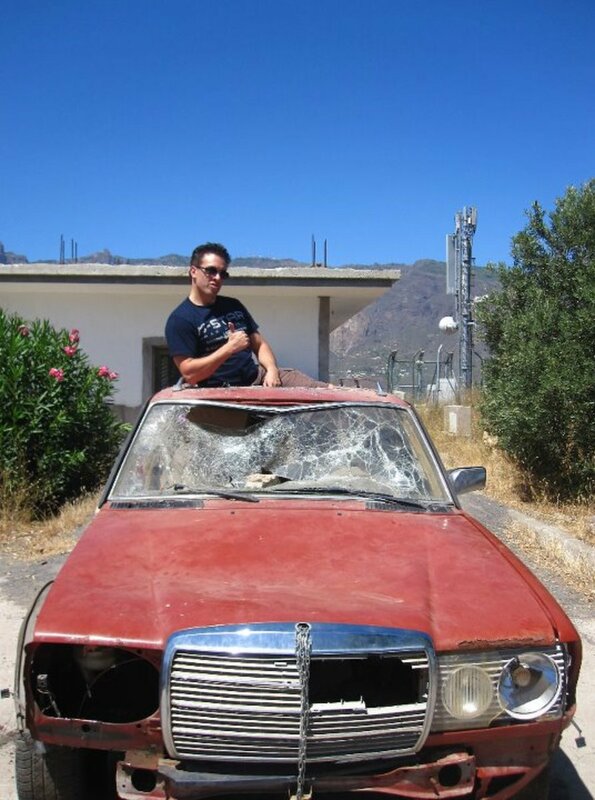 It was a lot of hard work becoming a driving instructor. Going on my own was a great decision, but IT's not all a bed of roses. I love it when someone passes tho, and I taught them everything they know. That's the best part of the job, the satisfaction. Very comprehensive info: But I can't help asking myself, If this is such an awful profession full of headaches, Why are you still doing it????? Thankyou for taking the time to share this information. I am myself looking in to instructor training after putting my pack from RED in the bin and deciding to do it of my own back. Great lens. It always makes me angry each time I see one of the Adverts on the tv or in a paper with the earn Â£30000 per year headline. 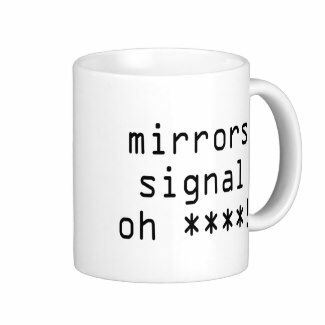 It must be very tempting to anyone who may have just been made redundent etc, I would have thought that the Trading Standards would have taken a look by now! Running a driving school can be very rewarding but you will need to work Very Very hard to Earn Â£30K let alone take home anything near Â£30k. The training can cost up to about Â£4K with about a 90% fail rate ,they don't make that clear! But you are then Â£4k in dept with still no Job ! @LouiseKirkpatrick: Caught me out there - obviously not read the thing properly - the video's a bit 'genderist' anyway. Love it to pieces tho'. Too bad you don't live in the US - I'd hire you in a second to teach my 16 year old son. Instead, I'm now an informal, parent-teacher and impatient, to boot. I don't know how you do it! New found respect for driving instructors. I just hold on tight and pray I survive each session. :) Incredible amount of information you've assembled! @anonymous: Hi Nigel - being a driving instructor is a rewarding career. Once you get established and build a pupil base and start getting a stream of customer referrals it become easier, BUT it's VERY hard to qualify and even harder to get established in a business where there is so much competition. In all seriousness, driving instruction is not a career for someone who needs a substantial income, but if money isn't your main aim and job satisfaction is, then yes - it's a GREAT job! Really helpful and thought provoking stuff-its always best to understand the pitfalls-It would however be nice to have some positive thoughts from those that chose this career and stuck with it..why do they still do it? @LDC1: Thanks LDC1 - I've now included the video extract from the show on this page and it can be seen at Red Instructor Training on BBC X-Ray programme - it does make for VERY interesting watching! Many thanks for this lense, you have confirmed the doubts that I had regarding some of the claims in the sale material that I received from one of these organisations. I have now been able to make an informed decision i.e. not to waste my money! Very informative. The BBC consumer programme recently featured Red driving schools and the alledged lies it told to get a nice ex-RAF guy called Bruce to buy a driving instructor training course. He was so upset he taped his conversation with the local Red franchise manager who admitted the Red sales team just tell you what they want to hear despite him bing fed up of telling them about it. To see the programme look at youtube Red driving school BBc Xray. What worries me about Red and the quality of their instructor training is the fact that they regularly send out mail shots to newly qualified driving instructors asking if they'd like to join them to train potential driving instructors! With all due respect, how can someone who's only just passed their own ADI Part 3 be in a position to train others to become driving instructors? I don't think anyone is ready to be training others literally before the ink on their green badge has had time to dry! Newly qualified drivers cannot supervise learners or apply to become an ADI for several years, so why is it OK for a newly qualified driving instructor to become an instructor trainer? It makes no sense and it's undoubtedly one of the reasons why the failure rate is so high...(along with the indiscriminate nature of taking on anyone who can stump up to pay for the training regardless of whether they're suited for the job or not!). Red must be getting desperate, they are sending me up to four eMails a day trying to get details out of me! I have also contacted the Trading Standards Agency for London Borough of Harrow and Brent, and they have opened a case to investigate the matter. I argued that The Instructor College are engaged in business malpractices and they use dubious techniques to get innocent people to sign up for their training course. Telling lies to customers is illegal, and Trading Standings will take legal action against the company. [in reply to instantpayday] This is for anybody thinking about being a driving instructor, i have been a driving instructor for 8 years, this site tells it as it is the truth and not what the driving instructor training companys tell you.Anybody thinking of being a driving instructor should read this whole site first as it will tell you as it is. I myself am thinking about giving up being a driving instructor up after a very tough qualification process and then once qualified the job isnt what i was led to believe and its very hard to earn a decent living and after 8 years ive done all i can. so my advice as ive been there and done that is DONT DO IT. choose a different carear and dont waste your time and money. I don't agree that "all schools seem to be about the same"! There are probably thousands of individuals/companies offering instructor training these days. Red don't offer the "cheapest franchise going" - what are you comparing them with &amp; are you comparing like with like? What one driving school offers in it's franchise package isn't the same as another. It's impossible to state the average earnings of a driving instructor. Earnings depend on how much work you can get, how much you charge for lessons, how much your overheads are and so on. There is NO guarantee of steady income, or a supply of work when you are self-employed, whether you take out a franchise or work as an independent. I would advise you to join a driving instructor messageboard to get detailed answers to your questions. Driver Training Today is a nice, friendly place to seek advice from lots of experienced people. Hi im looking at enrolling with Red. Iv heard the sales pitch and have done my research on other schools as well and they all seem to be about the same. My only worry is do they try and provide pupils to match the hours ou want to work or do they once youve passed leave you high and dry? Red seem to have the cheapest franchise going. What would you say your average earning was a week by becoming a driving instructor. Where would you suggest to train and work for? It is all a massive sales pitch, all they want is your money nothing else, they give oy uall the crap on the phone telling oyu how great you are and you would be ideally suited etc, all the phone people want to do is get you to the main sales pitch in sone college they have spread around the country, Try and get some sort of price from the phone people, you have no chance they are on commision to get you to the meeting, people have been sacked from Lvg just telling the price etc!!!! Please dont believe the Hype. LVG Have a massive turn over in telephone staff also, that to me sais it all. Save youre £4000 Please. I can tell oyu alot about Red driving school, Instructor college, LVG just ask. What an amazing piece of work. I don't even want to be a driving instructor but I still read most of it with great interest. Your language is perfect, communication perfect and I bet this will go a long way to helping a huge number of people. Surely industry journals should refer to this. Great job! A great lens, and I agree with everything you say. Passing Part 3 is particularly hard going and I needed probably nearer 80 hours tuition to reach the required standard, and its so much harder than the TV adverts suggest. I haven't heard of the company you mention myself. Hello all, I am seriously thinking of training as an ADI in Northern Ireland. Have you heard of a training company called Acclaim,they are a UK company &amp; have half a dozen outlets in NI? Pls see Transport Office -Introduction To Becoming A Driving Instructor for full details of the legal requirements. i am not a British nationality holder. i hold indefinite stay in UK though. have held my licence for 8 years. can i still become an instructor? Very good lens CDT - I can recommend anyone thinking of becoming an instructor to look carefully at the information on here. This is a realistic view of the industry - good and bad. I am sure this informative lens will be of great benefit to anyone wishing to embark on ADI training. Great Web site very informitive true and a eye opener for any up and comming ADI or PDI wish I had found this Web site 2 Years ago and saved myself £3000 carry on the GREAT work . I only have been a ADI for 3 mths but can relate to every word you have said . Once again GREAT work and keep it going. Very good lens with some excellent information. I'm so glad there's more of us putting the information out there. I've been an ADI for twelve years now and can vouch for just about every word of this feature. Excellent advice.